La Liga dominated the Ballon d’Or gala with all eleven players in World Team of the Year coming from the Spanish league. Despite some odd inclusions such as Dani Alves and Gerard Pique, both of whom spent large parts of 2012 out injured and out of form (Javier Mascherano arguably performed better at centre back than Pique last year), the system of voting was carried out in the most democratic way possible – selected by fellow professionals from every FIFA nation. As a result it led to pundits proclaiming La Liga to be the ‘best league in the world’, which can be instantly dismissed due to the objectivity of the claim and surrounding factors of what makes it the ‘best’ league in the world. Determining what is meant by ‘the best’ can take time and be interpreted in many different ways. For example, what is meant by the word ‘best’? Does it mean the most entertaining, the most dramatic, the most fan friendly? Or does it mean that the world’s most skilled players ply their trade there? There is a great distinction between these categories with many leagues throughout Europe and in South America in contention to top one of those lists. Undoubtedly, La Liga is home to several of the world’s most talented players. Lionel Messi, the first person to win four Ballon d’Ors, scored 91 goals in 2012 for club and country. There is no escaping the fact that here lies a player that will go down in history as a true great. The same can be said for Cristiano Ronaldo; a somewhat unlucky talent to be second to Messi so often. These two players have been battling it out for the Ballon d’Or accolade for the past few years and both spearhead the two elite teams in Spain. 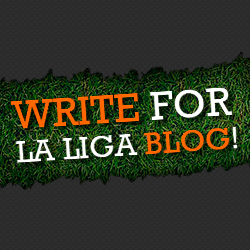 But does the weakness of La Liga actually exclaim the brilliance of both players? Messi scored 50 goals in La Liga last year, and in theory could score even more in a different country. Continually the question of whether Messi could score the same amount of goals in the Premier League gets brought up. The ‘Stoke analogy’ often pops up when questioning Messi’s brilliance, i.e. wondering if he could score so many goals on a cold, rainy Tuesday evening against a physical Stoke team, which is a ludicrous proposition. Messi has received similar treatment in Spain, namely against Real Madrid, but similar teams to Stoke ‘do’ exist elsewhere. Osasuna have been known to deploy rough tactics, as have Levante, and the weather is hardly likely to affect Messi. It does rain elsewhere in the world and he’s scored throughout Europe in colder places in the Champions League. So could Messi score over 50 goals in the Premier League? Maybe, but we’ve seen past strikers’ scoring rates differ from each division. Fernando Morientes flopped at Liverpool, Fernando Torres shone and then dipped, Giovani Dos Santos failed to feature at Tottenham and Cristiano Ronaldo has scored more goals per season since his switch from Man United to Madrid. Even David De Gea has found life tough after his move to United when he was so highly rated at Atletico. Multiple reasons such as style of play, position deployed and the time of the respective players’ peak could be to blame instead of the quality of opposition. So it remains unclear whether the Premier League is harder or not. One factor that has made Messi the king of football has been his team mates and their quality. With many members of the Spanish national squad in the team, Messi has been provided with great service from players such as Xavi, Iniesta, Busquets, Villa and Pedro. Yet the current Barcelona team won only one trophy last year – the Copa del Rey, and three of the scorers in the Euro 2012 Final come from the Premier League! In fact no Spanish team even managed to reach the Champions League final last year. More glaring than the omissions from the Premier League in the FIFA awards were the omissions from the European Champions, Chelsea. Even though they defeated Barcelona over 2 legs, many still consider Barcelona to be the better team, despite Lionel Messi having never scored against them. As for excitement however, Chelsea’s tactics were far from riveting last season. Barcelona play slick, flowing football with plenty of goals – but again does it reflect the weakness of the division? Led by the duopoly of Real Madrid and Barcelona (usually), La Liga can often be a two horse race and about as exciting as a coin flip, compared to the excitement of the Premier League or Bundesliga. In Germany 4 different teams have won the title since 2007. Does the increased competition make the Bundesliga better? What about the fan experience? Germany has the greatest attendance figures of any football league worldwide. The structure of German football clubs – the 50 + 1 method – is arguably the safest method for clubs to go about their finances, making the horrendous state of Spanish football finance look terrible. There are many different ways of looking at this argument and alternate ways of comparing figures such as goals, shots on target, saves etc. Each of these can be looked upon differently from both sides, e.g. amount of shots can indicate both strong attacking players or weak defences. The argument cannot be purely settled with the best teams either as the overall quality of the division allows the top teams to be so dominant. The debate will continue but is completely objective to how you view the leagues.